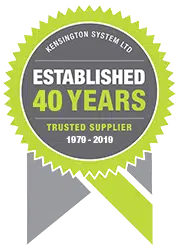 Kensington offers a range of covered walkway systems for commercial buildings and other establishments. Our walkways come in a variety of styles and designs to suit your property. Depending on the area or application, we can design and install a canopy that meets your requirements. Give us a call to discuss our products and services with you. We offer a complete solution to your shading needs. Whether you require a walkway canopy for a school, office or retail facility, we can build the system according to your requirements. Do you prefer a traditional apex-roofed structure or a contemporary curved style? Whatever your needs, we are here to provide for your project. 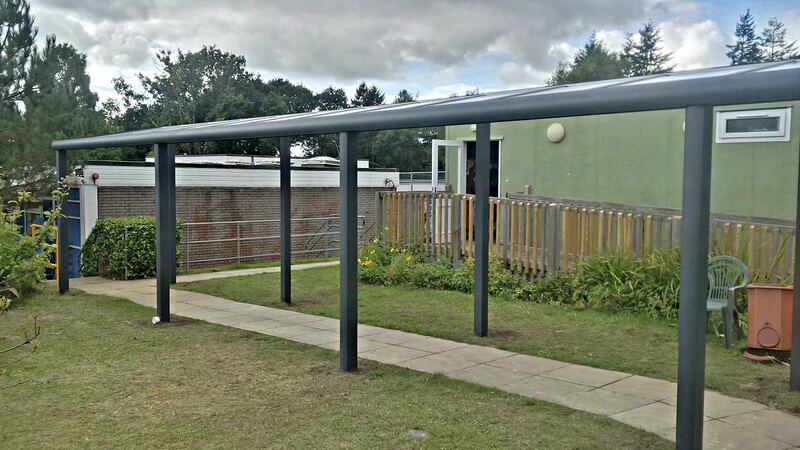 Our team has years of experience in providing covered walkways for schools throughout the UK. Our range of walkway canopies is known for its selection of beautiful and durable covers, providing students, staff and guests years of protection from the sun and rain. With our team’s dedication and professionalism, you can expect us to work well with your architect or contractor or work directly with you in meeting your school’s requirements. Why Install a walkway canopy? Expansion is part of running a business. You may need a new building to provide a better experience for your customers. Who wants to walk down the side of a building in the rain or the scorching heat of the sun? Our external canopies provide maximum protection against the weather. Constructed from quality materials, our external canopies are built to last for years, making them a valuable and cost-effective addition to your property. Because they function as an extension to your school or establishment, our team will make sure that the walkway systems complement the entire area once the installation is completed. By protecting guests and customers from harsh weather conditions and enhancing the appearance of your property, you will certainly get the most out of our walkway canopies. We want you, your family, students or customers to be safe and comfortable, which is why we offer our covered walkways. These systems provide shelter when you need to access adjacent buildings or you just want a shaded place to rest. Our walkway canopies deliver in terms of strength and durability. Do you have a design in mind? Let us know and we can discuss how to integrate it into the plan. Feel free to get in touch with us today.